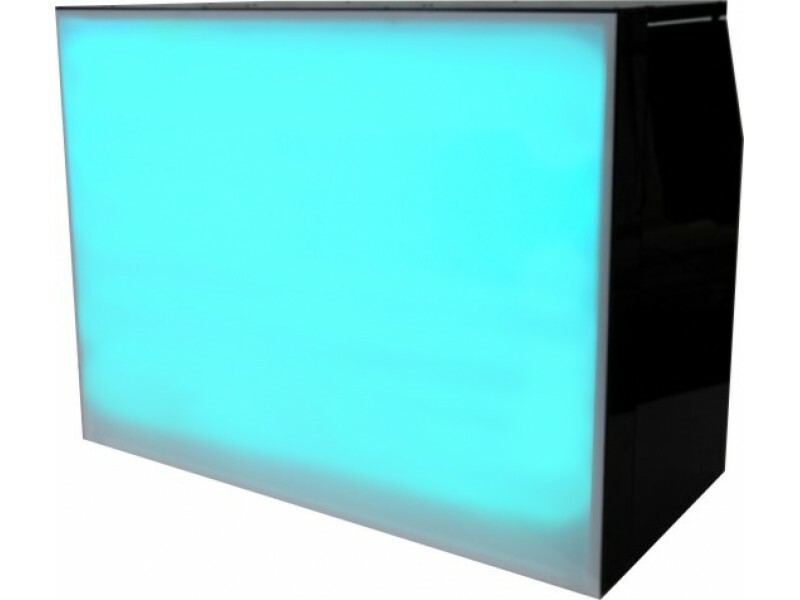 The 5’ bar / counter has over 1400 full-colour LED’s to produce a solid illuminated panel without ‘hot-spots’. Controlled via RF remote, the user can change colour, brightness or initiate fading / flashing patterns. The sections can work individually or be linked together to work as a whole. As standard the units have gloss black cladding with 5mm thick cast ‘opal’ acrylic mounted on the front. When off, this looks white but as soon as you fire the LED’s up, it transforms to produce a vivid colour experience. 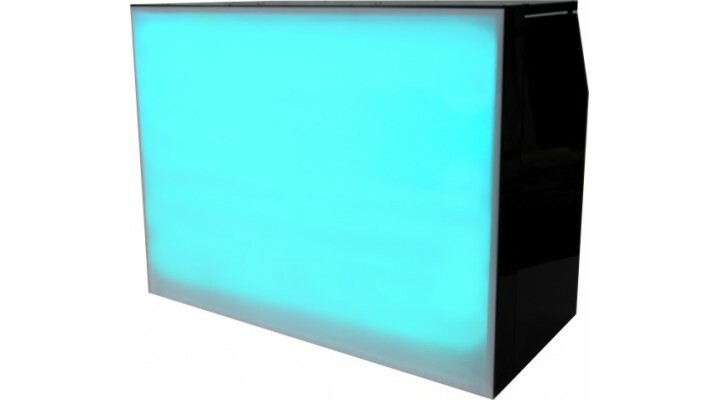 These units are great as bars, DJ booths or sales counters. 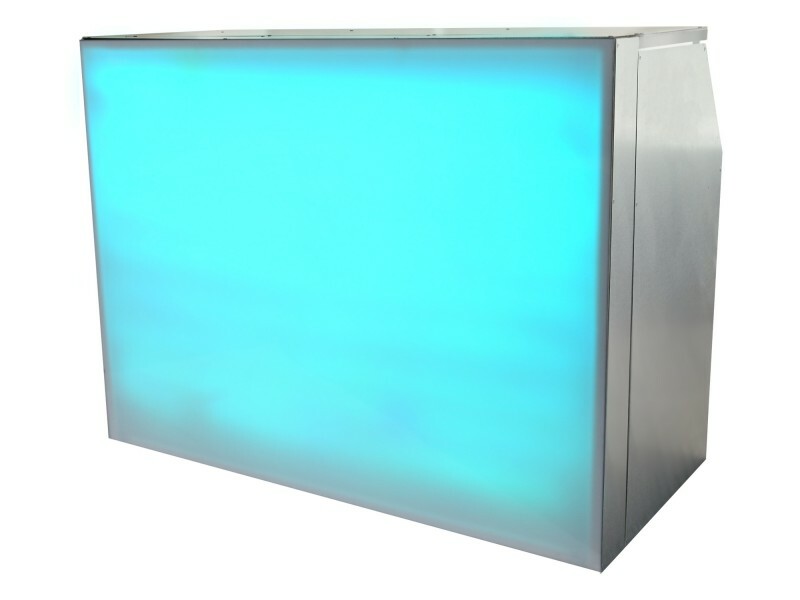 The back-lit bar shelving unit shines through glasses and bottles to create a really ..
Our folding back-lit corner unit allows you to connect back-lit bars at 90°, continuing the illumina..